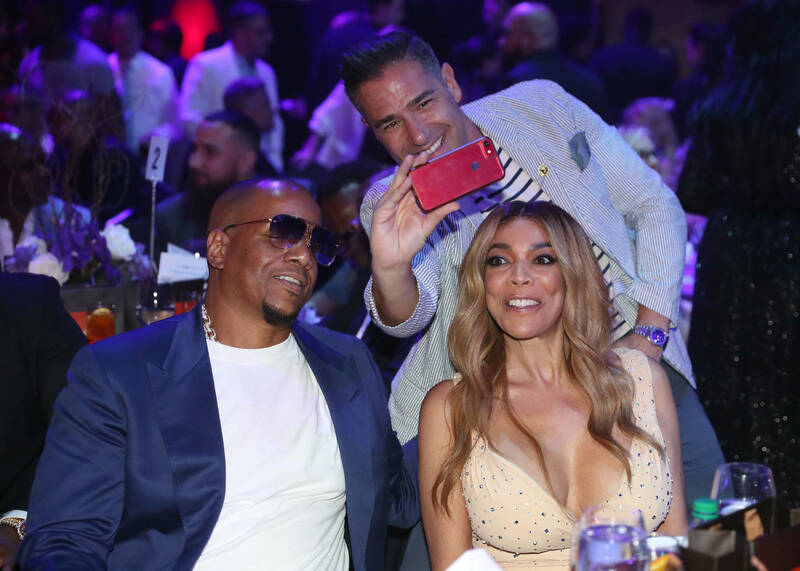 Home>Entertainment> Kevin Hunter On Wendy Williams Divorce: "We Are Still The Hunter Family"
The Hunter household has been a topic of conversation since Wendy Williams served her husband of 20 years the boot. And the expulsion seems timely considering the recent turn of events. Kevin Hunter's resilient affair of ten years resulting in the birth of a lovechild was one of the many cherries on top of the cake that brought Williams to the edge. The talk-show host finally drew the line when she found out Hunter's alleged mistress was now ferrari-pushing thanks to that Hunter coin. Wendy chose to chuck the deuces in the most savage way possible by sending off a neatly tied boxed gift to her husband which contained divorce papers. It is nice to see family still comes first to Mr. Hunter and we hope for a smooth process in the former couple's separation. ENTERTAINMENT Kevin Hunter On Wendy Williams Divorce: "We Are Still The Hunter Family"